When we moved in the summer there was a lot of items on out to get list. One in particular was very very high up on the list as we really did need it. We have a very sofa and honestly the seating was fine in our old house. Well that was until some one visited and then it was limited, it's a good thing we rarely got any visitors! 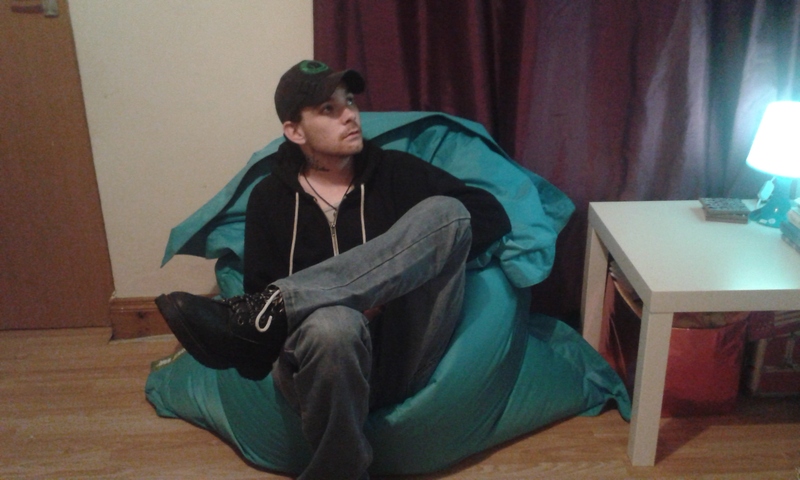 I had looked into all of the options when we where moving and I really fell in love with the Giant Beanbag from Beanbag Bazaar. It is such a multi-functional piece of furniture and we use everyday. 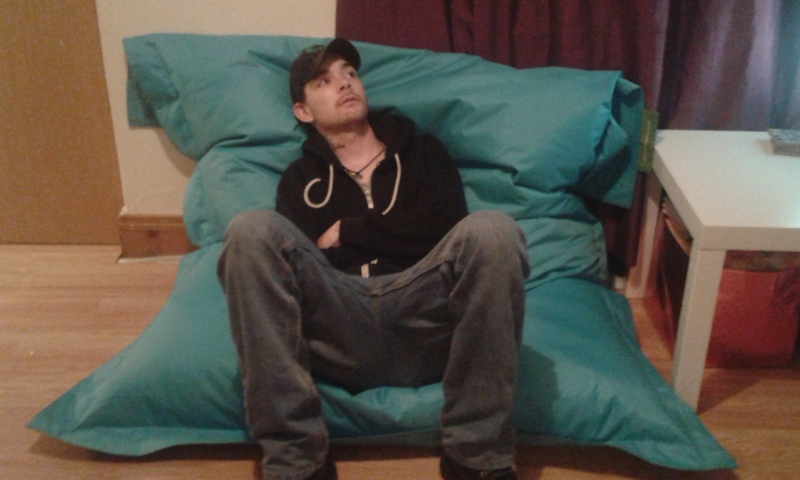 I had chosen the Giant Beanbag in aqua to mach the blue colours in the living room as this is where it would mainly be. The experience really starts from the website which is so easy to navigate round and has some beautiful pictures of all their bags in action. It is easy to navigate and there are so many options for you to choose from both with the type of product and then even more when it comes to which colour you want! Checking out is seriously easy too no long winded questions to fill out so you can sign up either. I really hate when a website does that. Ours showed up within days, yes days! It comes in two large boxes. One containing the bag which is already half filled and another containing the other half of the beans along with easy to follow instructions on how to fill it up with 2 people. However the bag is very easy to fill alone which was how I ended up doing it. 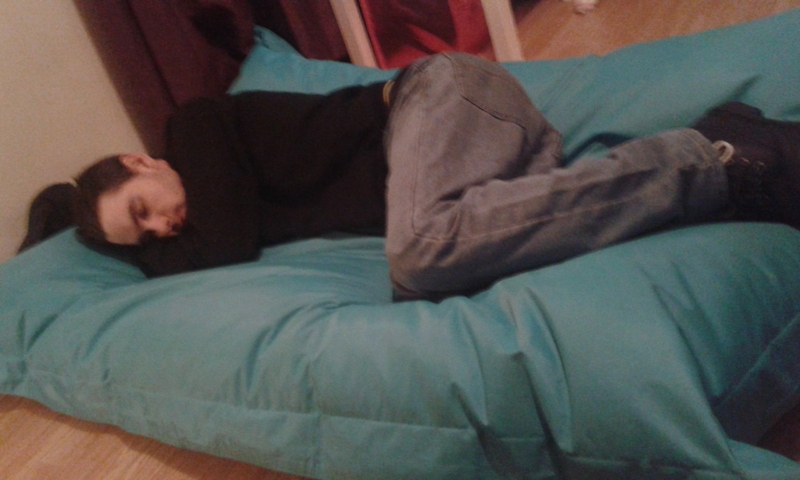 What I really love about the Giant Beanbag is that it is just so versatile! You can put it up in so may positions with many being free standing too. Here are some positions you can use. Free standing sitting up position, This is perfect for using tablet's, phones or laptops while you sit comfortably. It is also perfect for watching TV. Sitting up position. This one isn't free standing but i use this when I am reading a book as I can curl up and get really into the book while still being very comfortable and supported. Almost lying down position which is freestanding. This position is perfect for when the boys are playing games consoles on the big TV in the living room and it is great for watching movies on too! Finally the Lying flat position which is actually incredibly comfortable and is perfect for lazy days lying together as you really can fit 2 people on the bag! I must say this has very fast became one of our most used pieces of furniture and is constantly being used in lots of positions throughout the day. Another reason I choose this bag above all the others is that this can easily be made into a bed type mattress which can be used for any naps that anyone might have during the day. But it also means that when Simon isn't having a great night with his anxiety he can pull this down and sleep on it but still be very close to the exits. This is a regular occurrence and I find that the Giant Beanbag has really helped in shortening the length of time he spends outside or sitting on the cold floor. 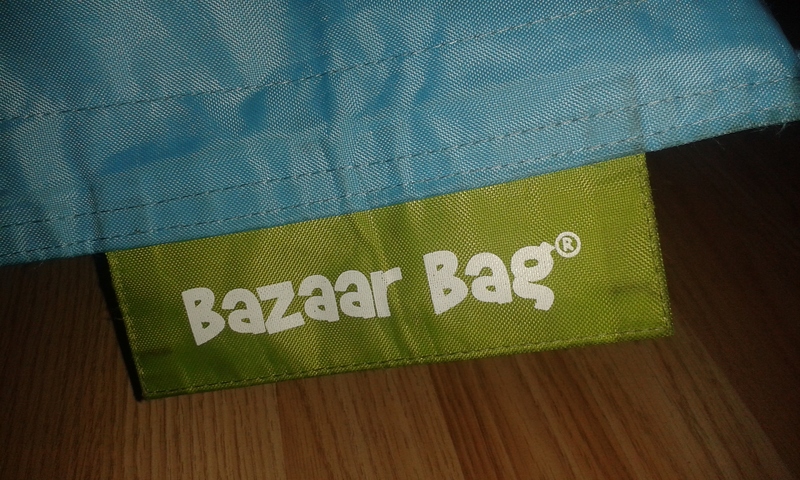 The bag is also waterproof and made with good hard wearing material which means you are able to use this outdoors. This is the one feature we have yet to test as we haven't been able to use the back garden due to weather and still working on getting it sorted out. However this also makes the beanbag extremely easy to clean using some soap, warm water and a sponge or cloth. I was really surprised just how well it cleans up especially with D who is constantly finding messy things to do that involve the beanbag! a few wipes and it comes back up like new! 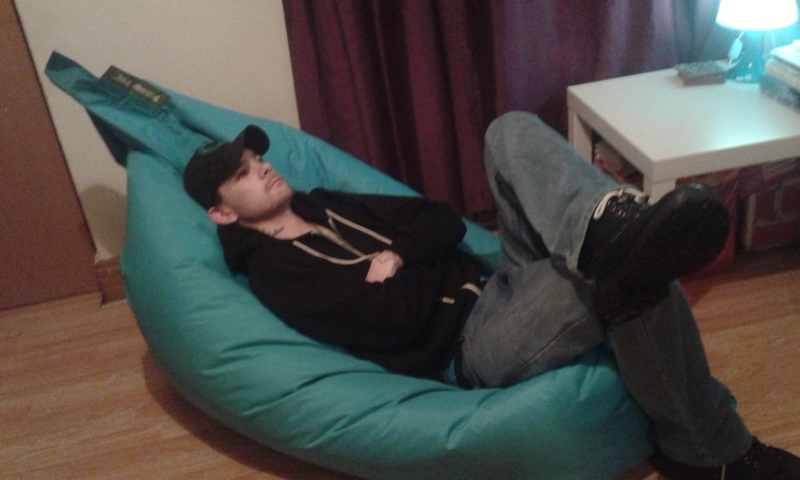 We really love our Beanbag Bazaar Giant Beanbag and I would certainly recommend it to anyone looking for some new versatile furniture that can be easily cleaned and makes a great addition to any room. 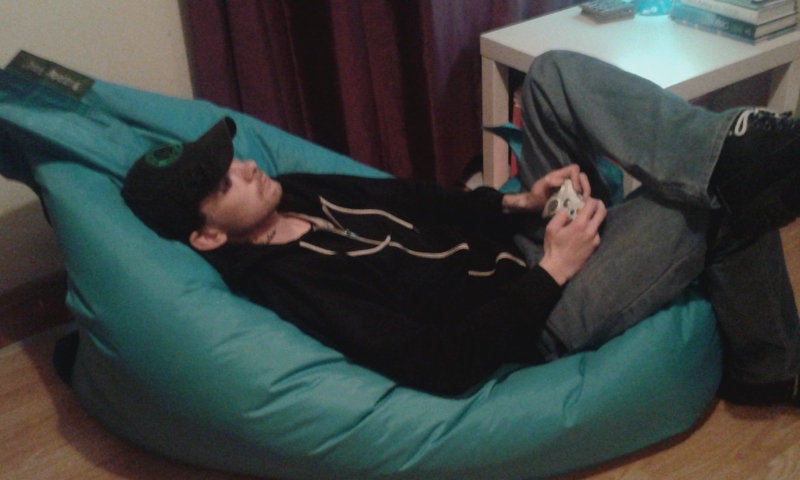 You can purchase your own Giant Beanbag by clicking the link. 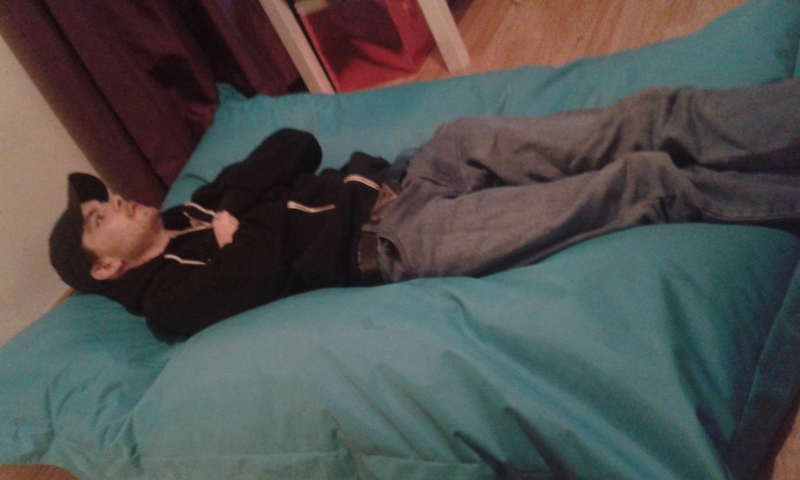 The Giant Beanbag costs £120 normally but is currently on sale for £58.49. An amazing price for a great product.